Uttarakhand High Court Recruitment 2019: High Court of Uttarakhand at Nainital / highcourtofuttarakhand.gov.in is conducting recruitment processes to fill 6 vacancies. As of now, there is one recruitment drive going on for Additional District & Sessions Judge Posts. Uttarakhand High Court Recruitment 2019 - Job notification for Additional District & Sessions Judge Posts in Uttarakhand High Court, Nainital, Uttarakhand on Direct Recruitment. Applications are invited by High Court of Uttarakhand at Nainital on or before 06 May 2019 for 6 vacancies. 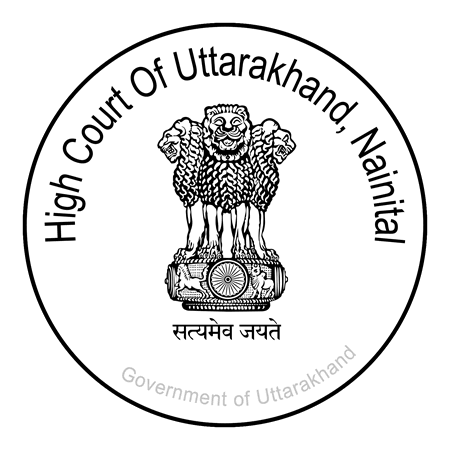 Uttarakhand High Court Recruitment 2019 - Job notification for Law Clerks (Trainee) Posts in Uttarakhand High Court, Nainital, Uttarakhand. Applications are invited by High Court of Uttarakhand at Nainital on or before 05 Apr 2019 for 9 vacancies. Uttarakhand High Court Recruitment 2018 - Job notification for Additional District and Sessions Judge Posts in Uttarakhand High Court, Uttarakhand. Applications are invited by High Court of Uttarakhand at Nainital on or before 19 May 2018 for 6 and Examination held on Preliminary examination 1 July 2018 11:00 AM, and Main examination 11th & 12th Aug 2018 11:00 AM vacancies. Uttarakhand High Court Recruitment 2017 - Latest job notification for 15 Personal Assistants Posts in Uttarakhand, Nainital on Direct Recruitment. Applications are invited by High Court of Uttarakhand at Nainital before 09 Jun 2017 for 15 vacancies. Uttarakhand High Court Recruitment 2017 - Latest job notification for Additional District and Sessions Judge. Applications are invited by High Court of Uttarakhand at Nainital before 09 May 2017 for 7 vacancies.